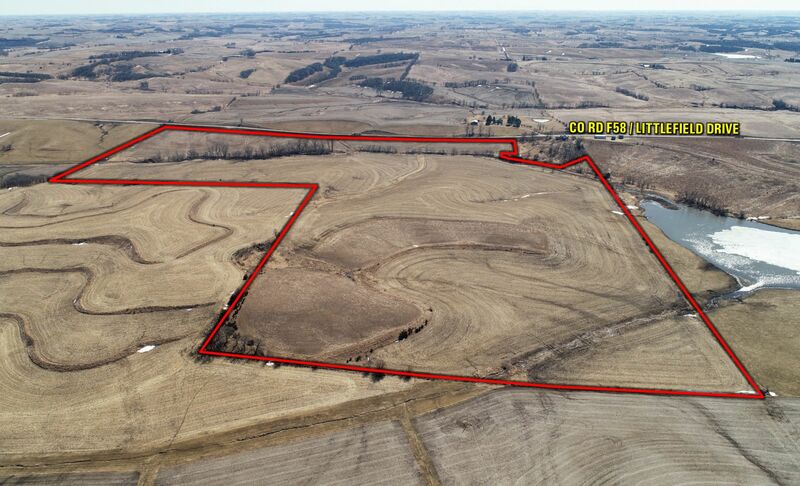 Offering 116 acres m/l of highly productive Audubon County farmland. This tract has approximately 89.57 acres m/l currently in row crop production carrying a CSR2 of 71.1. 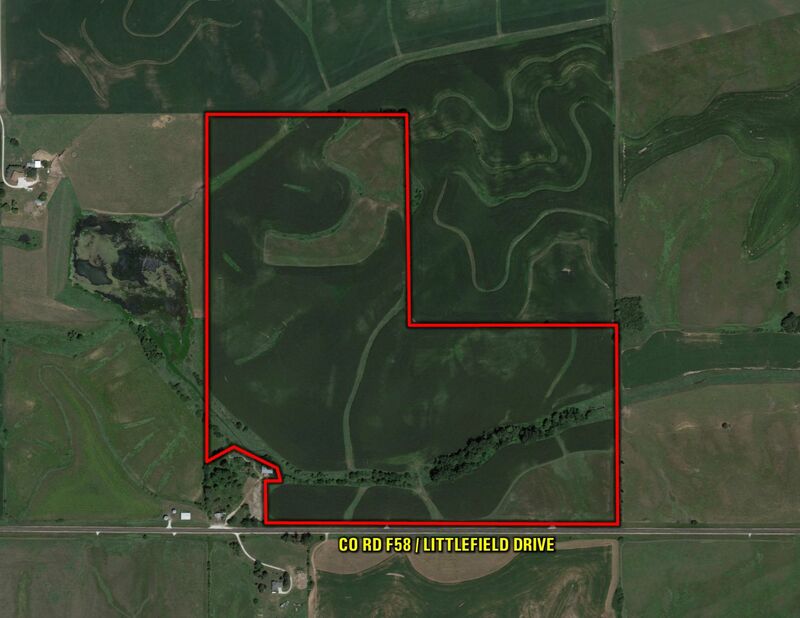 The balance of the property includes 15.2 acres enrolled in CRP (Conservation Reserve Program) until 2023 with an annual payment of $3,208 ($211.04 per acre). The CRP practice is CP1 (Grasses & Legumes). Primary soil types include high producing loam soils of Judson-Colo-Ackmore, Marshall, and Judson Silty Clay Loam. Conservation practices have been actively applied with farming done on the contour, established waterways, and strategic terracing. Farm has been leased for the 2019 year. 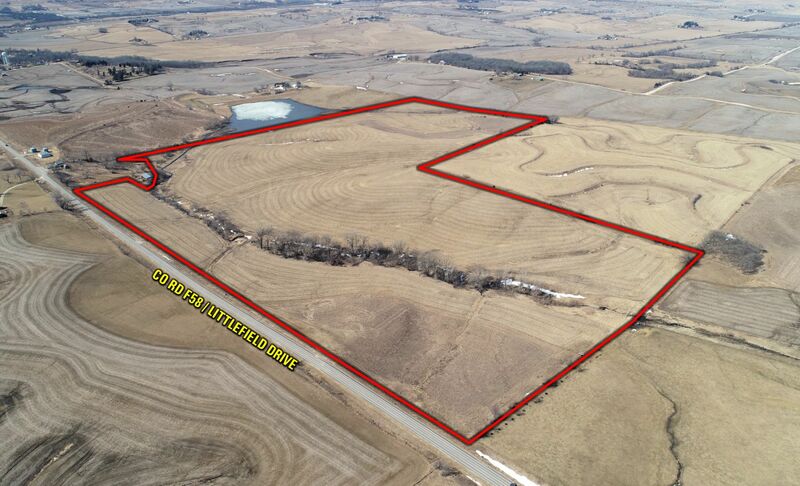 The farm is located just east of Exira, Iowa, in Section 2 of Exira Township. Lots Five (5), Eleven (11), and Twelve (12), in Section Two (2), Township Seventy-eight (78) North, Range Thirty-five (35), West of the Fifth P.M., Except Parcel A of said Government Lot 12, as described by Survey recorded as Instr. No. 06-0662 in the office of the Audubon County Recorder. Exact legal description to be taken from Abstract. 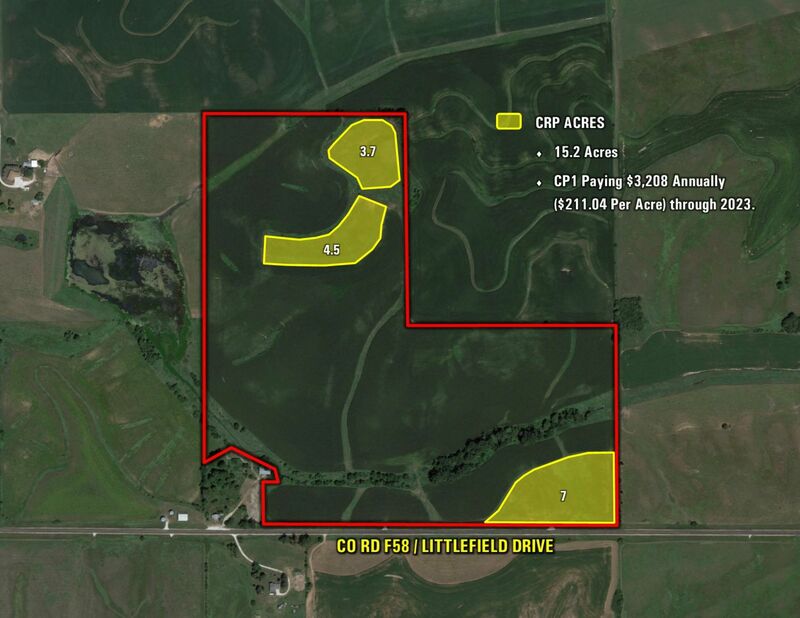 Total CRP - 15.20 acres enrolled into CP1 program paying $211.04 per acre or approximately $3,208 annually expiring in 2023. 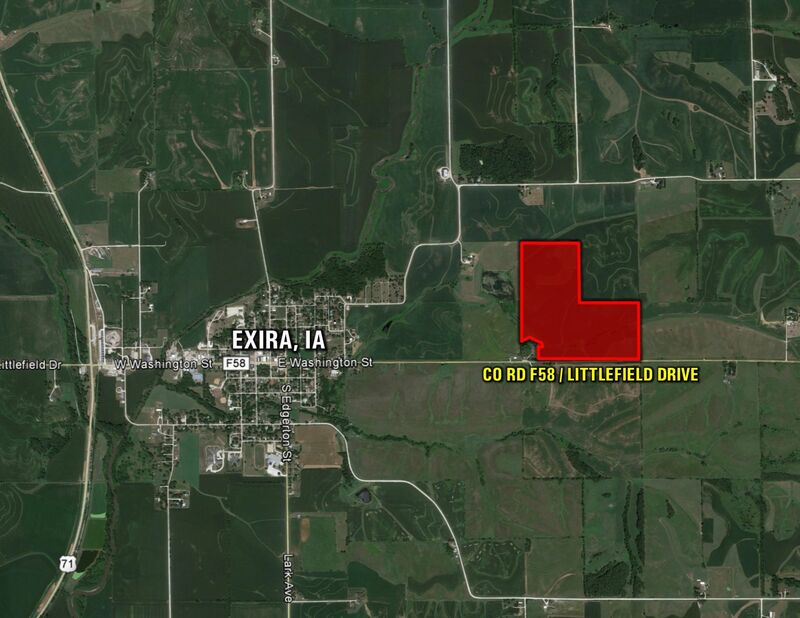 From Exira, Iowa: Travel east out of Exira on E Washington Street continuing onto Co Rd F58 / Littlefield Drive for 1 mile. 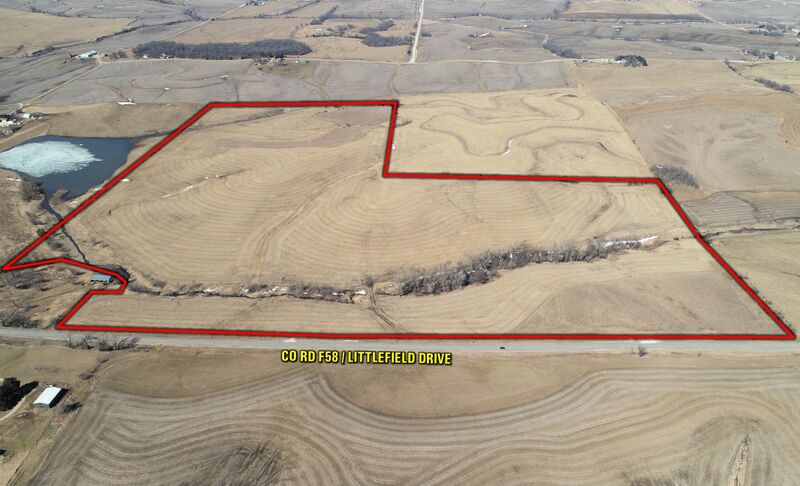 The farm will be located on the north side of Co Rd F58 / Littlefield Drive. Look for sign.